Stay tuned for more updates! Click here to sign up for our newsletter to be the first to know. All awards will be presented to the Writer of the winning films, with the exception of the Documentary awards, which will be presented to the Director. The Jury Awards will be presented on Saturday, October 27, 2018, during the Austin Film Festival Awards Luncheon. Awards are based on overall merit of the entries. Jury members reserve the right not to grant an award. All films screening are also eligible for an Audience Award in their respected categories. Award winners are announced within one week following the Festival. The Audience Award is based solely on audience voting at the film’s screening(s). Each Competition Filmmaker receives two film screenings, October 25 – November 1, 2018; five complimentary tickets to each of the film’s screenings; one ticket to the AFF Awards Luncheon (if in attendance, it is the preference of AFF that the writer be provided this ticket); the film featured in the AFF Program Book; and two complimentary Producers Badges to the Austin Film Festival, October 25 – November 1 (if in attendance, it is the preference of AFF that the writer be provided one of the complimentary Producers Badges). 1st Place Winners in both the Narrative Feature Category and Documentary Feature Category receive a cash prize of $2,500; reimbursement (up to $500) of one round-trip airfare to Austin to attend AFF; reimbursement (up to $500) for stay at an AFF hotel during the 2018 Festival; and the AFF Typewriter Award. The 1st Place Winner in the Dark Matters and Comedy Vanguard Feature Category receives a cash prize of $1,000; reimbursement (up to $500) of one round-trip airfare to Austin to attend AFF; reimbursement (up to $500) for stay at an AFF hotel during the Festival; and the AFF Typewriter Award. Comedy Vanguard winners will also receive a Video on Demand Distribution Deal from Gravitas Ventures! 1st Place Winners receive a cash prize of $1,000 (Narrative Short Category only) or $500 (Narrative Student Short, Documentary Short, Animated Short Categories); reimbursement (up to $500) of one round-trip airfare to Austin to attend AFF; reimbursement (up to $500) for stay at an AFF hotel during the Festival; and the AFF Typewriter Award. In addition, the winning films in the Narrative Short and Animated Short category are eligible to be nominated for an Academy Award®. All Awards are presented during the Austin Film Festival Awards Luncheon*. Those advancing to the Semifinalist level or beyond will have the option to attend exclusive panels hosted by participating panelists. They will also be included in the Producers Book, distributed to competition judges and other industry professionals. The Capri Residency Fellowship: The Capri Fellowship hopes to provide a place where writers can find their voice and tell the stories they want to tell. The winner of the Drama Feature Screenplay Award will be provided the opportunity to stay at the Capri Residency in Marfa, Texas for 2-3 weeks – stay must be scheduled from November 2019 – December 2020. Schedule stay to be determined by the winner(s) based on Capri Residency Availability. The HUMANITAS Originals Award Winner Receives: $5,000 prize along with reimbursement for airfare (up to $500) and hotel (up to $500) if used to attend the Festival and Conference, as well as the bronze AFF Typewriter Award. The Comedy Spec Winner Receives: $1,000 cash; reimbursement of roundtrip airfare (up to $500 per script excluding frequent flyer miles); hotel reimbursement at the Film Festival (up to $500 per script); and the AFF bronze typewriter award. The Drama Spec Winner Receives: $1,000 cash; reimbursement of roundtrip airfare (up to $500 per script excluding frequent flyer miles); hotel reimbursement at the Film Festival (up to $500 per script); and the AFF bronze typewriter award. The Comedy Pilot Winner Receives: $1,000 cash; reimbursement of roundtrip airfare (up to $500 per script excluding frequent flyer miles); hotel reimbursement at the Film Festival (up to $500 per script); and the AFF bronze typewriter award. AMC One-Hour Pilot Award Winner Receives: $1,000 cash; reimbursement of roundtrip airfare (up to $500 per script excluding frequent flyer miles); hotel reimbursement at the Film Festival (up to $500 per script); and the AFF bronze typewriter award. All Semifinalists may purchase a Producer’s Badge at the discounted price of $225. The winner of the Scripted Digital Series Competition will receive a $1000 cash prize; AFF’s bronze typewriter statue; reimbursement (up to $500) of one round-trip airfare to Austin to attend the 2018 AFF; reimbursement (up to $500) for stay at an AFF hotel during the 2018 Festival. Additionally, all filmed series finalists will be screened publicly at the 2018 Festival. Three finalists from the Playwriting Competition will have staged readings during the festival which will be performed in front of an audience including the industry professionals already in attendance at the Conference. One winner will be selected and will receive a $1000 cash prize, AFF’s Bronze Typewriter Award, and reimbursements of up to $500 for travel and up to $500 for lodging if used during the 2018 Festival. The Fiction Podcast Script Competition Winner receives: a $1000 cash prize, AFF’s Bronze Typewriter Award, reimbursement (up to $500) of one round-trip airfare to Austin to attend AFF, reimbursement (up to $500) for stay at an AFF hotel during the Festival in 2018. Directly following each screening, viewers will be given a Hiscox Insurance Audience Award ballot in order to judge each film on its overall quality and courage. Audience Awards will be awarded to Best Marquee Feature, Best Narrative Feature, Best Documentary Feature, Best Comedy Vanguard Feature, Best Dark Matters Feature, Best Texas Independent Feature, Best Stories From Abroad Feature, Best Heart of Film Feature, Best Narrative Short, Best Narrative Student Short, Best Documentary Short, Best Animated Short, and MOST COURAGEOUS FILM. Don’t forget to vote! The Hiscox Courage Award will be presented to the film that best showcases the most courageous story. 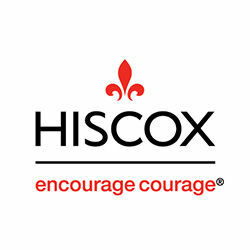 Selected by the audience, the Hiscox Insurance Courage Award will be presented to the one film that best embodies the virtue of courage and to the filmmaker who best embraced the risk to tell the story.